30 November, 2016. OTTAWA. 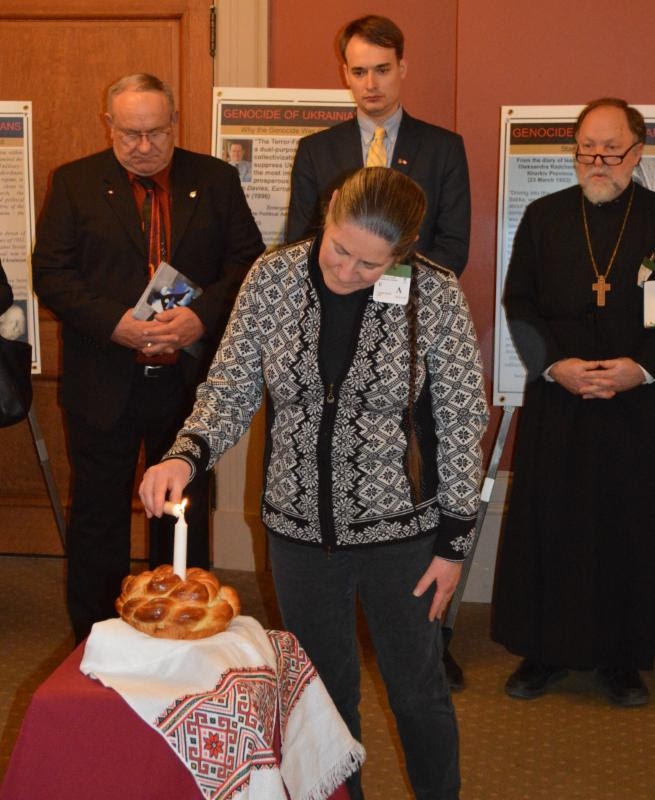 The Ukrainian Canadian Congress, in partnership with the Canada-Ukraine Parliamentary Friendship Group and the Embassy of Ukraine in Canada, held a solemn commemoration in Canada’s Parliament to mark the 83rd anniversary of the Holodomor Famine-Genocide in Ukraine. In 1932-33 the totalitarian regime of Soviet dictator Joseph Stalin sentenced the Ukrainian nation to death by starvation. Millions of children, women and men were condemned to death because of the Ukrainian peoples’ aspiration for independence, their desire to speak their language and maintain their culture and traditions. The fourth Saturday of November is designated Holodomor Memorial Day in Canada. 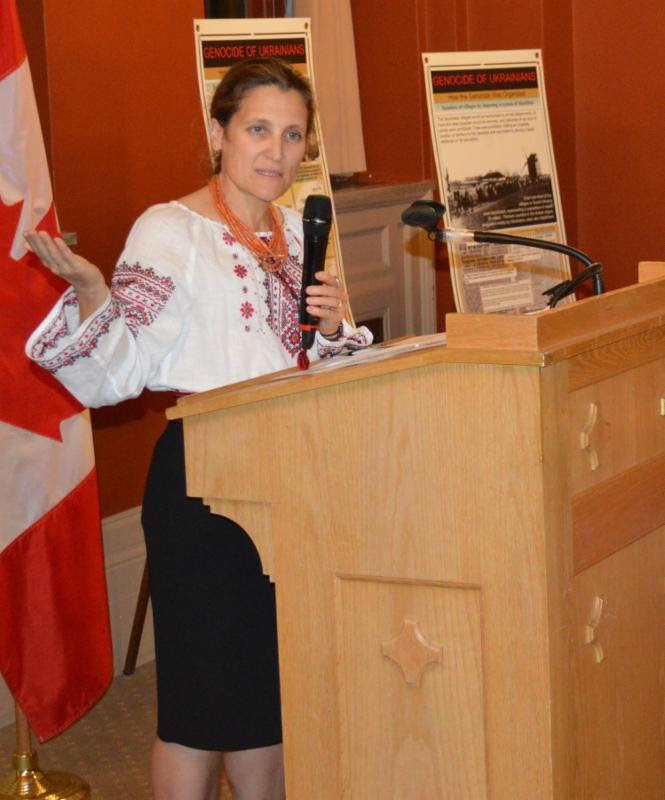 Hosted by the Canada-Ukraine Parliamentary Friendship Group (CUPFG), the Holodomor Commemoration on the Hill was attended by dozens of Members of Parliament and Senators, and the Ukrainian Canadian community of Ottawa. 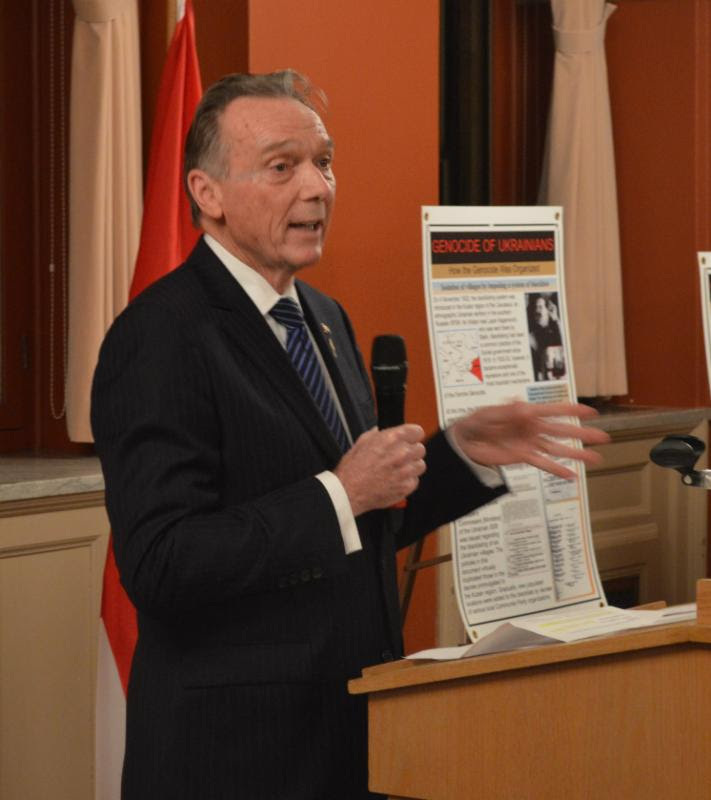 Borys Wrzesnewskyj (MP, Etobicoke-Centre), the Chair of the CUPFG, was Master of Ceremonies for the Commemoration. Nadia Zelem, daughter of Holodomor survivor Halyna Zelem, lit the ceremonial candle. Mr. Wrzesnewskyj recognized Mr. Ian Ihnatowycz, Vice-Chair of the UCC Advisory Council, community leader and producer of the motion picture Bitter Harvest. Rev. Fr. Ihor Okhrimtchouk and Rev. Fr. Peter Galadza led the opening prayer for the victims of the Holodomor. His Excellency Andriy Shevchenko, Ambassador of Ukraine to Canada, offered heartfelt remarks on behalf of the Government of Ukraine. 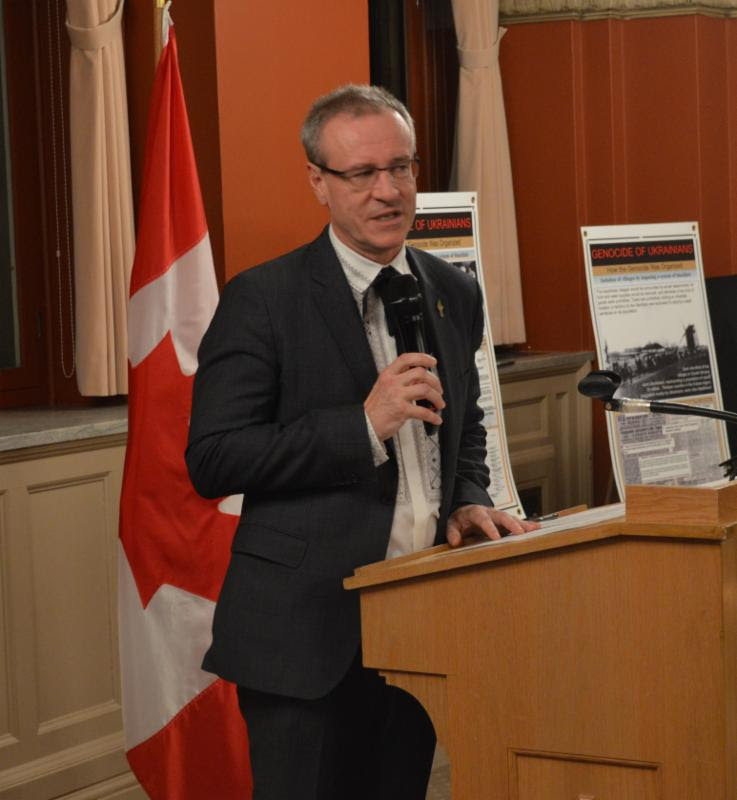 Ihor Michalchyshyn, CEO of the UCC, thanked everyone in attendance for participating in the Holodomor Commemoration on the Hill. Rev. Fr. Okhrimtchouk and Rev. Fr. Galadza led the closing prayer, and those in attendance sang Вічная Пам’ять (Eternal Memory). 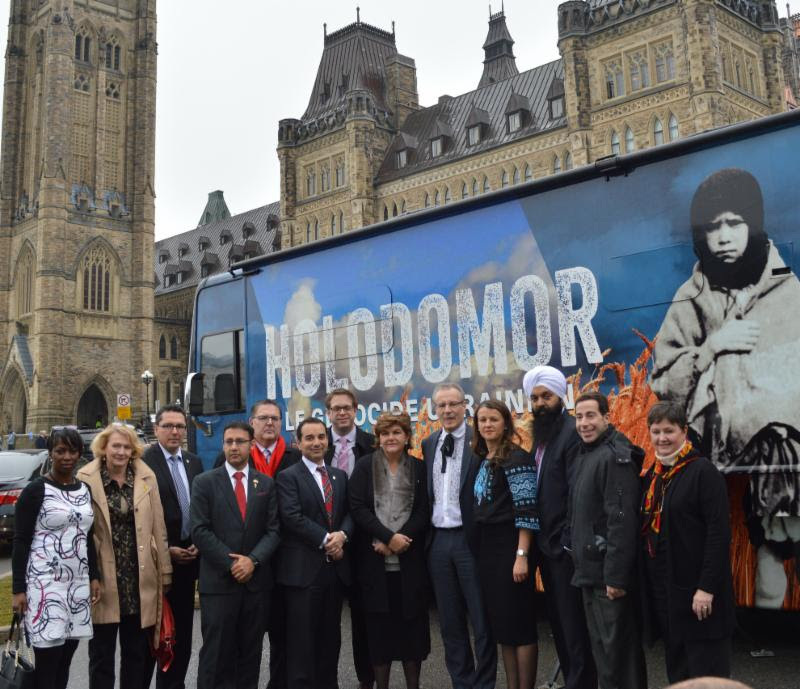 Rising in the House of Commons earlier in the day, Julie Dzerowicz (MP – Davenport) invited Members of Parliament to visit the Holodomor National Awareness Tour Mobile Classroom, (http://www.holodomortour.ca/) which was present on the Hill yesterday. The mobile classroom, a 40-ft RV, which has been travelling across Canada, provides students with an innovative learning experience about social justice, human rights and democratic values in relation to the genocide by famine which killed millions of Ukrainians. The Government of Canada, through Inter-Action, Canada’s multiculturalism grants and contributions program, has provided a three-year grant valued at $1.5 million to support this project. 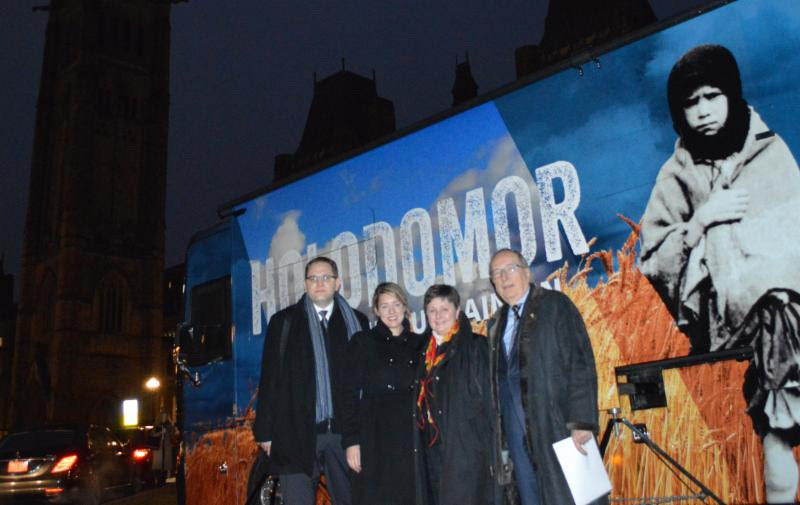 The Ukrainian Canadian Congress would like to express its heartfelt gratitude to all those who attended the National Holodomor commemoration ceremony at the Parliament of Canada, and who visited the Mobile Classroom. 28 November 2016. OTTAWA. 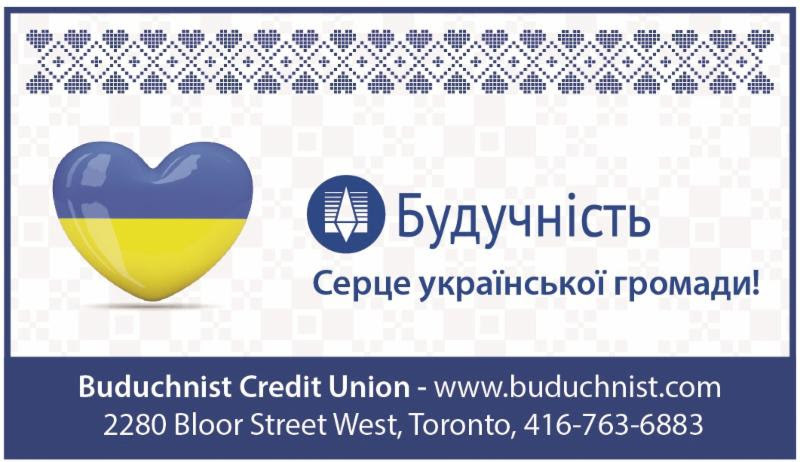 The Ukrainian Canadian Congress (UCC) fully supports Bill C-306, An Act to establish a Crimean Tatar Deportation (“Sürgünlik”) Memorial Day and to recognize the mass deportation of the Crimean Tatars in 1944 as an act of genocide. Bill C-306 was introduced in the House of Commons by Kerry Diotte (MP-Edmonton Griesbach) on September 28. The entire Crimean Tatar People, the indigenous people of Crimea, were exiled to the Soviet east in 1944 by the totalitarian regime of Joseph Stalin. Hundreds of thousands of men, women and children were forcibly and violently deported – almost half lost their lives during the first year of exile – for no crime other than their language, culture and traditions. The vast majority returned home from exile in the early 1990s, thanks largely to the welcoming policy of the government of independent Ukraine. 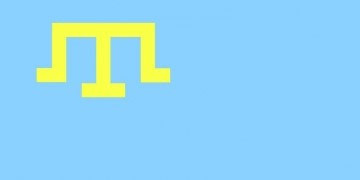 It is for this reason that the Crimean Tatars and their political and civic institutions are fiercely loyal to Ukraine and today live in fear or have been again exiled under illegal Russian rule. In November 2015, Ukraine’s Parliament recognized this crime as an act of Genocide against the Crimean Tatar People and established May 18 as the Day of Remembrance of the Genocide of the Crimean Tatar People. Bill C-306 honours the memory of the hundreds of thousands of victims of the forced deportation of the Crimean Tatar People, and underlines Canada’s enduring commitment to human rights and fundamental freedoms. November 25, 2016. OTTAWA. On November 26, Canada commemorates Holodomor Memorial Day. In 1932-33 the totalitarian regime of Soviet dictator Joseph Stalin sentenced the Ukrainian nation to death by starvation. Millions of children, women and men were condemned to death because of the Ukrainian peoples’ aspiration for independence, their desire to speak their language and maintain their culture and traditions. In one of history’s greatest crimes, the Soviet regime committed genocide against an ancient nation of grain growers who sought to live free on their own land. In 1932-33 the borders of Ukraine – for centuries the Breadbasket of Europe – were sealed, all grain and food was confiscated, and its people starved. Those who resisted were executed or exiled to hard labour in the Soviet Gulag. Food was turned into a weapon to break the resistance of the Ukrainian people to Soviet rule. But despite the Soviet attempts to destroy the Ukrainian people, the nation persevered and finally, decades later, won Ukraine’s independence. Today, as they have so many times in the past, the people of Ukraine are once more forced to defend their homeland against Russian imperialism. In Ukraine’s east Russia wages a brutal war of aggression, seeking yet again to subjugate the Ukrainian people to Moscow’s tyranny. A generation of Ukrainians takes up arms in defense of their nation’s inalienable right to self-determination and freedom. With God’s help, they will be victorious in their righteous struggle. On November 26, we gather in our communities to honour the memory of the millions of victims of the Holodomor Famine Genocide, 1932-33. 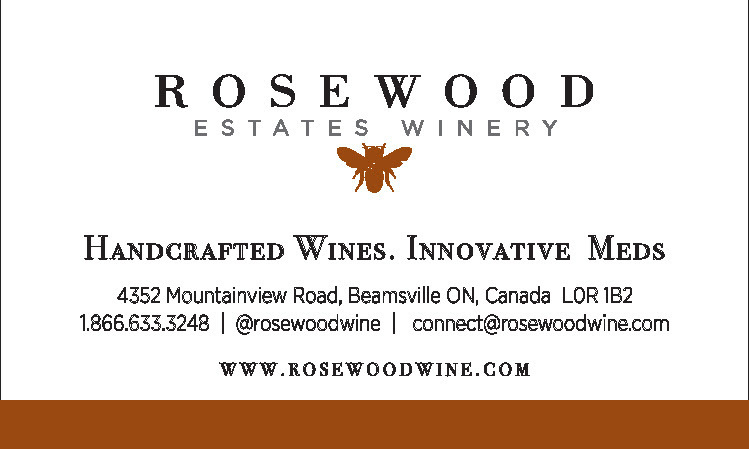 We pledge a solemn commitment to remember them always. We pay tribute to the survivors of the Holodomor, whose courage in sharing their story has done so much to educate the world about this Genocide. We vow to strengthen our effort in defense of democracy, liberty and human rights so that crimes such as the Holodomor never happen again. We pray that peace soon returns to Ukraine. 25-го листопада 2016. Оттава. 26-го листопада Канада вшановує День Пам’яті Голодомору. Протягом 1932-33 років тоталітарний режим совєтського диктатора Йосипа Сталіна засудив українську націю голодом на смерть. 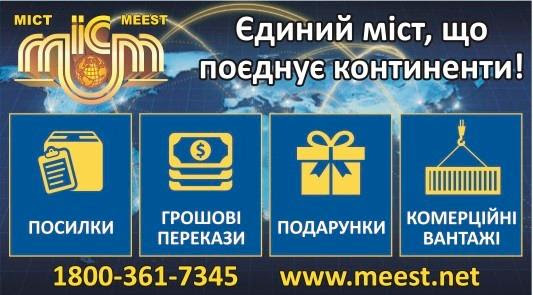 Мільйони дітей, жінок та чоловіків були приречені на смерть лише тому що український народ прагнув незалежності, бажав розмовляти власною мовою та зберігати власну культуру і традиції. 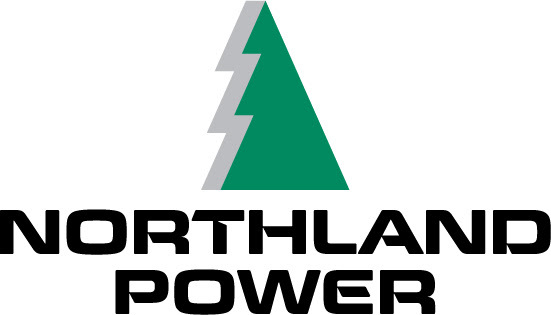 Одним з найбільших злочинів в історії людства є геноцид вчинений совєтським режимом проти древньої нації хліборобів які намагалися вільно жити на власній землі. У 1932-33 роках кордони України, яка століттями вважалася Житницею Європи були закриті, зерно та харчі були конфісковані, а народ голодував. Ті, хто опирався були страчені чи заслані на каторжні роботи в совєтський Ґулаґ. Харчі стали зброєю для поборювання опору українського народу проти Совєтської влади. Незважаючи на спроби совєтів знищити український народ він вистояв і нарешті, десятиліттями пізніше, виборов свою незалежність. Сьогодні, як це неодноразово траплялося в минулому, народ України вже вкотре змушений захищати свою землю від російського імперіалізму. На сході України Росія веде жорстоку та агресивну війну, знову і знову шукаючи шляхи поневолення українського народу у тенети московської тиранії. Покоління українців із зброєю в руках захищають невід’ємне право своєї країни на самовизначення та свободу. З Божою допомогою вони переможуть у їхній праведній боротьбі. 26-го листопада ми гуртуємося у наших громадах для вшанування пам’яті мільйонів жертв Голодомору – геноциду шляхом морення голодом 1932-33 років. Ми обіцяємо пам’ятати ці жертви назавжди. Ми вшановуємо тих, хто пережив Голодомор, тих, хто мав відвагу поділитися пережитим. Їхні свідчення зробили дуже багато для навчання людства про цей Геноцид. Ми складаємо обітницю збільшити наші зусилля на захист демократії, свободи та прав людини і не допустити щоб злочини такі як Голодомор могли повторитись. Ми молимось щоб мир знову запанував в Україні. 29 November, 2016. OTTAWA. 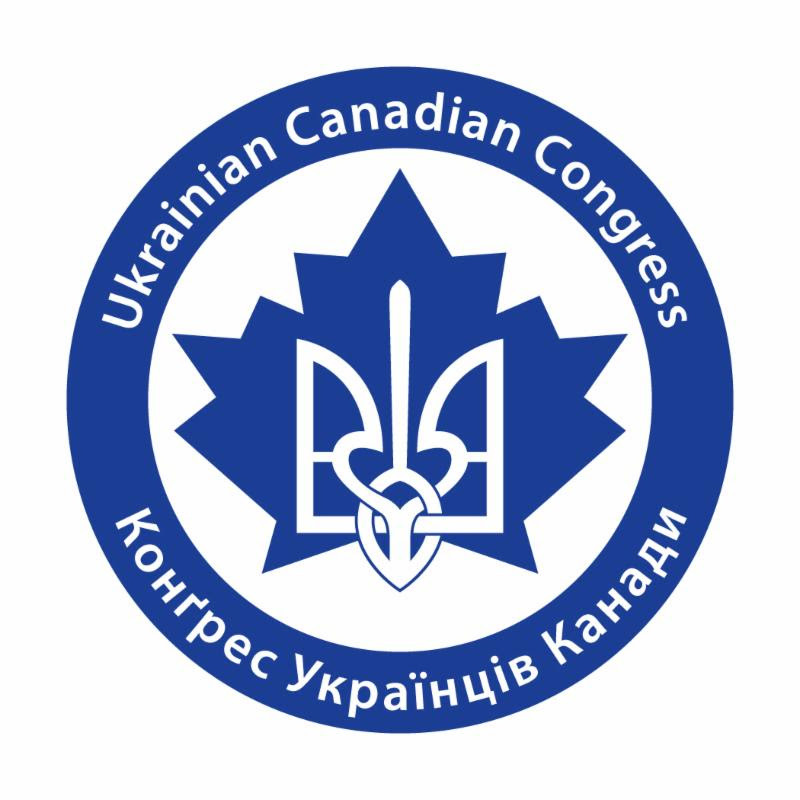 The Ukrainian Canadian Congress (UCC) applauds yesterday’s announcement by Canada’s Department of Global Affairs that 15 individuals, including six members of the Russian State Duma, have been subjected to asset freezes and dealings prohibitions for their role in Russia’s continuing illegal occupation of Crimea. “We were guilty, we just didn’t know of what, of what sins. 22 November 2016 – The Ukrainian Canadian Congress (UCC) has launched National Holodomor Awareness Week from 21-27 November 2016. In 1932-33, in an attempt to silence the Ukrainian nation and quell its aspirations for independence, Stalin’s totalitarian regime sentenced millions of Ukrainians to death by starvation. Despite the decades-long efforts by communist authorities, and attempts by other contemporary forces to disinformand erase from human memory the horrific experiences of the Holodomor, the world today knows the facts about this crime. Archival documents, scholarly research and testimonies by survivors have contributed to recognition of the Holodomor as a Genocide of the Ukrainian nation and to remembrance of the countless victims by governments and international institutions. May the memory of the victims of the Holodomor – 1932-33 Famine Genocide remain eternal. Тільки того що ми звалися українцями. 22-го листопада, 2016 р. Конґрес Українців Канади оголошує Національний тиждень вшанування жертв Голодомору, 21-27-го листопада 2016.
тоталітарний сталінський режим прирік на голодну смерть мільйони наших співвітчизників. Незважаючи на багаторічні намагання комуністичної влади, а також нинішні спроби окремих сил дезінформувати та стерти з людської пам’яті жахливі події Голодомору, сьогодні світ знає правду про цейзлочин. пам’яті численних жертв державами та міжнародними інституціями. взятиучасть у місцевих відзначеннях та пам’ятних службах. Календар відзначень можна знайти тут. Вічная Пам’ять Жертвам Голодомору – Геноциду 1932-1933 рр. 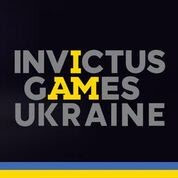 The first meeting of the UCC Invictus Games Organizing Committee (IGOC) took place in Toronto on November 10 with a call for volunteers to join the community efforts to support Team Ukraine’s participation in the Invictus Games, which will be held in Toronto, September 24-30, 2017. 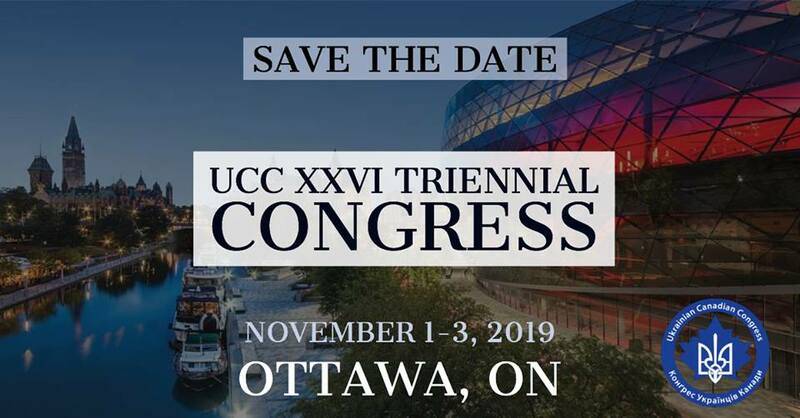 The UCC IGOC, chaired by Renata Roman, includes representatives of UCC National, UCC Toronto and representatives of many Ukrainian community organizations as well as individual community members. Volunteers are needed to implement plans for fundraising, logistics, social media and special events to support Team Ukraine’s wounded, ill and injured military personnel and veterans participation in the Games. Totaling 260,000 personnel, the Ukrainian army is now among the largest forces in Europe, with several thousand soldiers on active duty in the anti-terrorist operation zone in Eastern Ukraine. Since 1992, Ukrainian forces have been actively engaged in multiple exercises and peacekeeping missions under UN and NATO command across the Balkans, the Middle East and Africa. Ukrainian naval units also participated in anti-piracy operations off the coast of Somalia. Today, Ukraine is defending itself from an active invasion and daily conflict by Russia and over the past two and a half years has suffered almost 10,000 deaths and over 20,000 wounded by this war. November 11, 2016. Each year on this day, Canadians from coast to coast gather together to pay tribute to the brave men and women who have served and today serve Canada in our nation’s Armed Forces. With solemn gratitude, we remember those who fell in defence of our rights and our liberty. 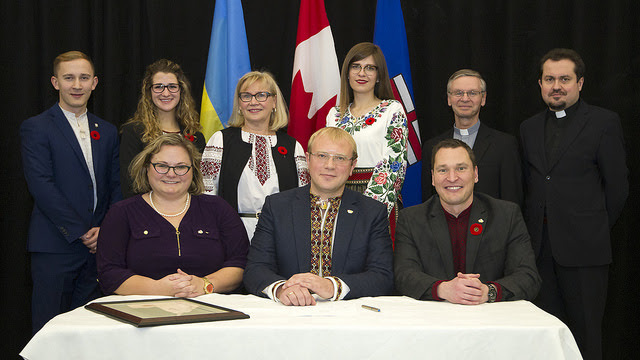 The fifth bill in Alberta’s history to pass with unanimous consent in a single day, Alberta’s Ukrainian-Canadian Heritage Day Act, recognizes the enduring contributions of Albertans of Ukrainian heritage to the province. 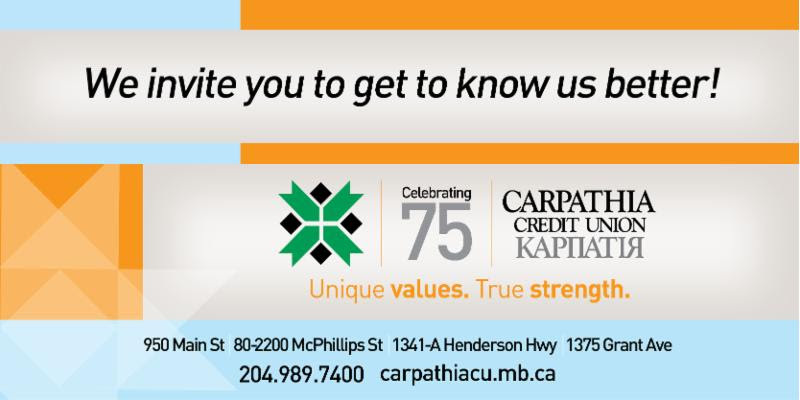 The Act states that, starting in 2017, Sept. 7 of each year shall be known as “Alberta’s Ukrainian-Canadian Heritage Day.” The date was chosen to honour the first officially recorded Ukrainian immigrants, Ivan Pylypiw and Vasyl Eleniak, who arrived in Canada on Sept. 7, 1891. 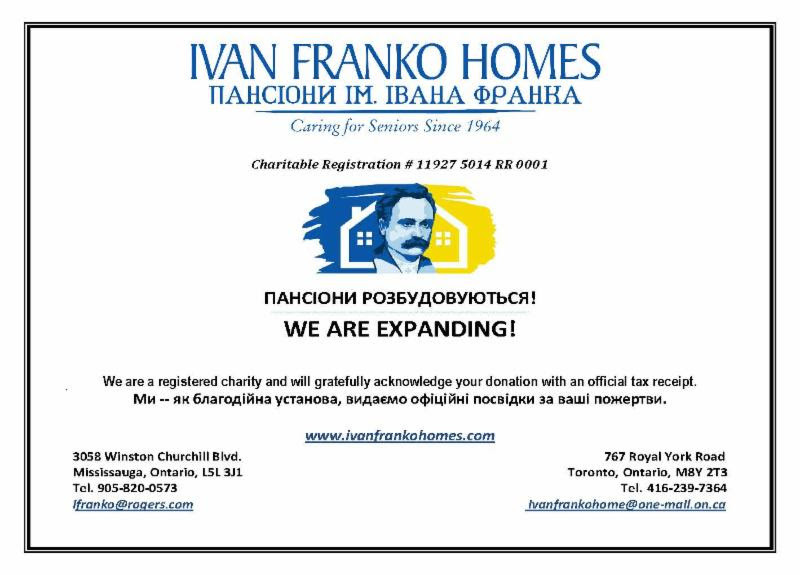 2016 marks the 125th year of the first recorded arrival of Ukrainians in Canada. On July 11, 2016, Canada and Ukraine signed the Canada-Ukraine Free Trade Agreement (CUFTA). November 3, 2016. OTTAWA. 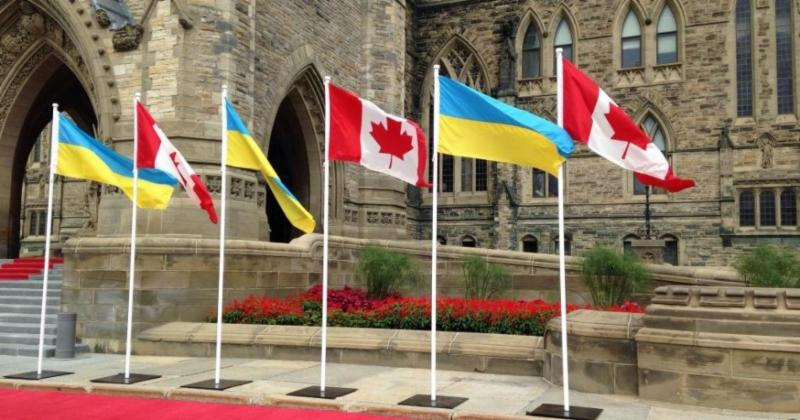 The Ukrainian Canadian Congress (UCC) welcomes the introduction in Canada’s House of Commons of legislation to implement the Canada-Ukraine Free Trade Agreement (CUFTA) and congratulates all those whose hard work made this historic agreement possible. The Canada-Ukraine Free Trade Agreement was signed in Kyiv on July 11, 2016 by Minister Freeland and Stepan Kubiv, Ukraine’s First Vice Prime Minister and Minister of Economic Development and Trade, during Canadian Prime Minister Justin Trudeau’s official visit to Ukraine. As the Minister of Labour, the Honourable MaryAnn Mihychuk met with Mr. Andriy Reva, Ukrainian Minister of Social Policy, this week, where they agreed to deepen collaboration between the two countries on jobs and safety in the context of the progressive labour chapter in the Canada-Ukraine Free Trade Agreement (CUFTA). The mission reinforces Canada’s steadfast support for Ukraine. Minister Mihychuk also sat down with a United Nations agency, the International Labour Organization, to develop a workplan on a tripartite project for training to create safer working conditions in Ukraine’s extractive sector. The meetings took place during Minister Mihychuk’s first official mission to Ukraine, which follows the recent signing of the CUFTA in July 2016. Minister Mihychuk started her mission with a visit to the Sosnivskyi Granite Quarry. Canada and Ukraine are both endowed with bountiful natural resources representing high economic potential in the extractive sector. Given Canadian industry’s strong safety record and common vision for zero fatalities, the Minister was pleased to share best practices. Minister Mihychuk then convened a roundtable on labour challenges and opportunities, hearing from academics, non-governmental organizations and regional and international organizations. She held a working meeting with members of the Ukrainian Canadian Congress, exploring ways for ordinary Canadians back home to play a part in the economic reconstruction of Ukraine. Minister Mihychuk also toured the Chornobyl reactor site and observed how Canada’s new $3.6 million investment in containment and safe storage of radioactive materials is helping Ukrainians deal with the ongoing consequences of the 1986 disaster, and the remarkable regeneration of the ecosystem. To conclude her mission to Ukraine, Minister Mihychuk met with the Ukrainian Minister of Health, Dr. Ulana Suprun, on advancement of occupational health and safety standards. Minister Mihychuk laid a pot of grain at Holodomor and reaffirmed Canada’s unwavering support for Ukraine. The Canada-Ukraine Free Trade Agreement is a major milestone in the relationship between Canada and Ukraine that will grow our economy, create jobs and help the middle class and those working hard to join it. The Canada-Ukraine Free Trade Agreement was signed in Kyiv on July 11, 2016. The Labour Program negotiates and implements trade-related labour agreements to address the labour dimensions of economic integration. The objective of these labour agreements is to improve working conditions in partner countries, and to promote respect for internationally recognized labour rights and principles. Trade-related labour agreements also help Canadian businesses and workers compete in the global marketplace. Under these agreements, participating countries commit to uphold fundamental labour rights and principles, effectively enforce their own labour legislation and cooperate on labour matters. En tant que ministre de l’Emploi, l’honorable MaryAnn Mihychuk a rencontré cette semaine son homologue ukrainien, M. Andriy Reva, ministre de la Politique sociale de l’Ukraine. 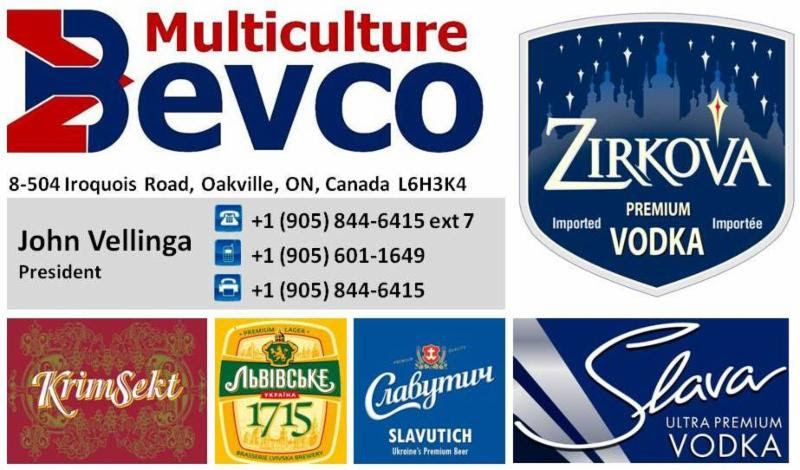 Ils ont convenu d’approfondir la collaboration entre les deux pays en matière d’emploi et de sécurité dans le contexte du nouveau chapitre progressif sur le travail de l’Accord de libre-échange Canada-Ukraine (ALECU). Cette mission renforce le soutien indéfectible du Canada envers l’Ukraine. La ministre Mihychuk s’est également entretenue avec une agence des Nations Unies, l’Organisation internationale du travail, afin d’élaborer un plan de travail pour la mise en œuvre d’un projet tripartite de formation visant à créer des conditions de travail plus sécuritaires dans le secteur de l’extraction minière en Ukraine. Ces rencontres ont eu lieu lors de la première mission officielle de la ministre Mihychuk en Ukraine. Cette mission fait suite à la récente signature de l’ALECU, en juillet 2016. La ministre Mihychuk a commencé sa mission par une visite de la carrière de granite de Sosnivskyi. Le Canada et l’Ukraine sont tous deux dotés de ressources naturelles abondantes qui représentent un potentiel économique élevé dans le secteur de l’extraction. Compte tenu du solide bilan de sécurité de l’industrie canadienne et de son objectif commun d’éliminer les décès en milieu de travail, la ministre était heureuse de partager des pratiques exemplaires. La ministre Mihychuk a ensuite convoqué une table ronde sur les défis et les possibilités liés au travail, en s’adressant à des universitaires, des organisations non gouvernementales et des organisations régionales et internationales. Elle a organisé une rencontre de travail avec les membres du Congrès des Ukrainiens canadiens afin d’explorer des moyens pour les Canadiens d’ici de jouer un rôle dans la reconstruction économique de l’Ukraine. La ministre a également visité le site du réacteur de Tchornobyl, où elle a pu constater comment l’investissement de 3,6 millions de dollars du Canada pour financer le confinement et le stockage sûr des matières radioactives aide les Ukrainiens à faire face aux conséquences permanentes du désastre de 1986 et contribue à la régénération remarquable de son écosystème. Pour terminer sa mission en Ukraine, la ministre Mihychuk a rencontré la ministre ukrainienne de la Santé, la Dre Ulana Suprun, pour discuter de l’avancement des normes en matière de santé et sécurité au travail. La ministre Mihychuk a également déposé un pot de grains sur le site de Holodomor et a réitéré le support inébranlable du Canada envers l’Ukraine. L’ALECU représente une étape importante dans la relation entre le Canada et l’Ukraine. Il contribuera à la croissance de notre économie et à la création d’emplois, et aura des retombées positives pour la classe moyenne et ceux qui travaillent fort pour en faire partie. 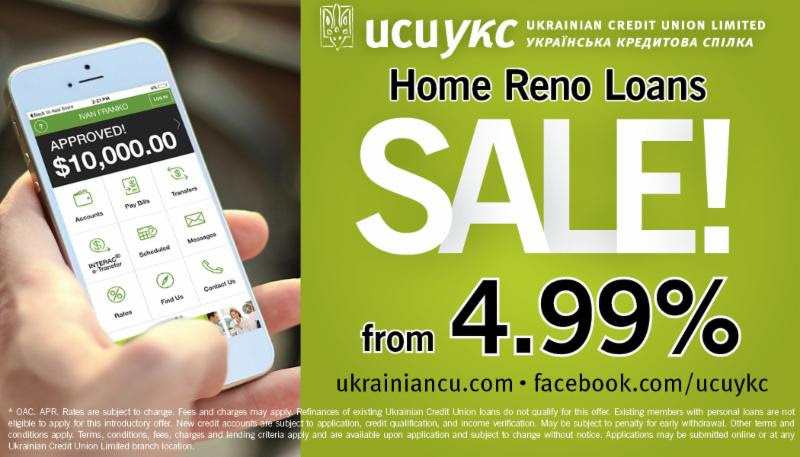 L’Accord de libre-échange Canada-Ukraine a été signé à Kiev le 11 juillet 2016. Le Programme du travail négocie et met en œuvre des accords commerciaux dans le domaine du travail afin d’aborder les aspects de l’intégration économique liés au travail. Ces accords dans le domaine du travail ont pour but d’améliorer les conditions de travail dans les pays partenaires, et de promouvoir le respect des droits et principes relatifs au travail reconnus à l’échelle internationale. Les accords commerciaux dans le domaine du travail aident les entreprises et les travailleurs canadiens à soutenir la concurrence sur les marchés mondiaux. En vertu de ces accords, les pays participants s’engagent à respecter les droits et principes fondamentaux relatifs au travail, à appliquer efficacement leur propre législation du travail, et à coopérer sur les enjeux touchant le travail. 12-го листопада 2016. Вінніпеґ. Конґрес Українців Канади глибоко сумує з приводу смерті Орисі Пащак Трач, громадського провідника, письменниці, лектора і казкаря. Пані Пащак Трач упокоїлася раптово у Вінніпеґу 10 листопада. Пані Пащак Трач переклала з української на англійську десяток книг, читала лекції на українську тематику у Північній Америці, Австралії, Україні. ЇЇ публікації широко відомі в Канаді та Америці. Вона вела публіцистичну рубрикуThe Things We Do в українському тижневику Ukrainian Weekly. ЇЇ книжка First Star I See Tonight: Ukrainian Christmas Traditions це всеосяжна англомовна книга про багаті українські різдвяні традиції, яка вийшла друком у грудні 2015 року. Вона щорічно проводила турне народного мистецтва та культури в Україну. Окрім її багатьох нагород за вагомий внесок в розвиток українсько-канадської громади, цього року на Трирічному Конґресі Конґресу Українців Канади пані Пащак Трач була нагороджена Шевченківською Медаллю в категорії культури і мистецтва. Шевченківська Медаль є найвищою формою визнання якою нагороджує Конґрес Українців Канади. У смутку покійна Орися Пащак Трач залишила свого чоловіка Мирослава, синів Бояна, Добряна і Руслана, сестру Нусю Денисик. Ми просимо Господа пам’ятати родину Орисі Пащак Трач в цей важкий час і дарувати покійній вічне життя у Царстві Небесному. November 12, 2016. WINNIPEG. 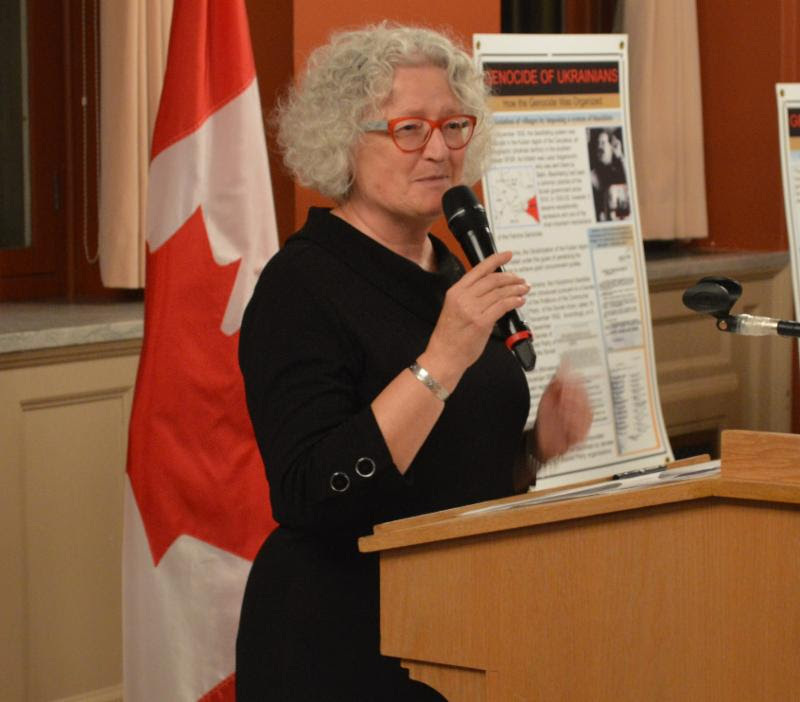 The Ukrainian Canadian Congress (UCC) expresses its deep sorrow on the passing of Orysia Paszczak Tracz, community leader, writer, lecturer and storyteller. Mrs. Paszczak Tracz passed away suddenly in Winnipeg, on November 10. Mrs. Paszczak Tracz translated ten books from Ukrainian to English, was a lecturer on Ukrainian subjects in North America, Australia, and Ukraine. She published widely in Canadian and American publications, and wrote a column, The Things We Do, for the Ukrainian Weekly. 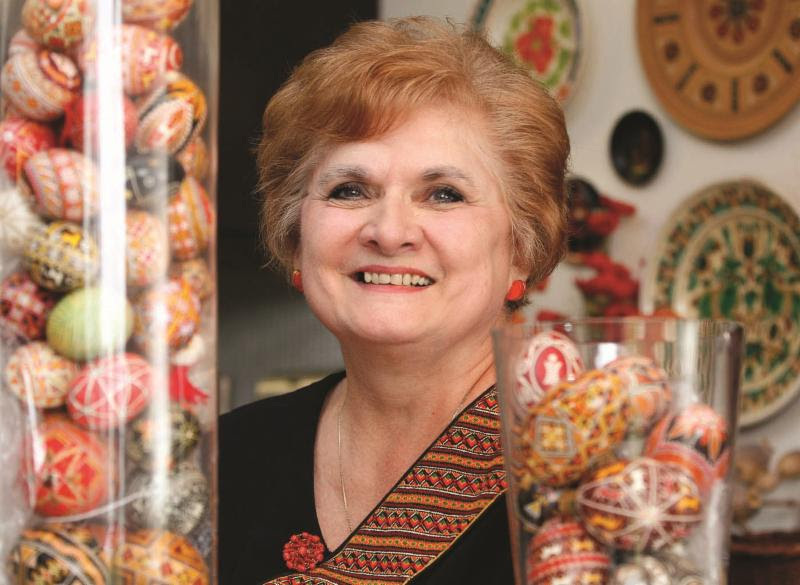 Her book First Star I See Tonight: Ukrainian Christmas Traditions, a comprehensive English-language book on the rich Ukrainian Christmas heritage, was published in December 2015. She led an annual folk art and cultural tour to Ukraine. 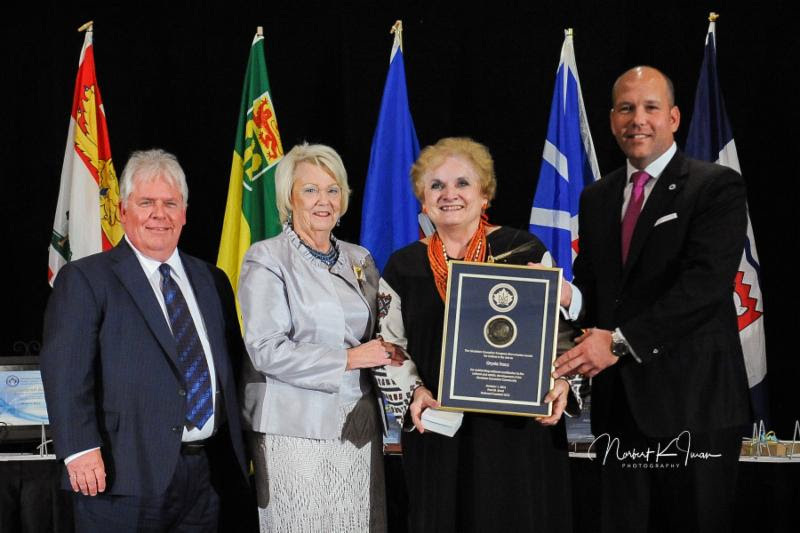 Among her numerous awards, for her outstanding national contribution towards the development of the Ukrainian Canadian community, Mrs. Paszczak Tracz was awarded the Shevchenko Medal, in the Culture and the Arts Category at the Triennial Congress of Ukrainian Canadians this year. The Shevchenko Medal is the highest form of recognition bestowed by the UCC. Orysia Paszczak Tracz is survived by her husband Myroslaw, sons Boyan, Dobryan and Ruslan, and her sister Nusia Denysyk. We ask God to remember Orysia Paszczak Tracz’s family during this difficult time and to grant her eternal life in His Heavenly Home.